Have you ever stared at your sad dog one evening and thought, “if only you could talk…”? Well, apparently, ALZ-112 will do the trick! 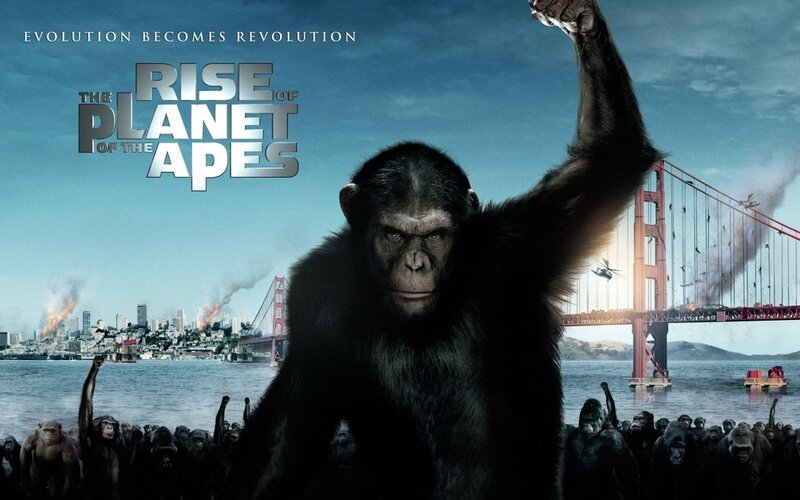 If you don’t believe me, then you need to watch Rise of the Planet of the Apes. The first ethical issue the movie raises is the protection of animals used in science research. The star ape that had shown a favorable response to the drug, went rogue. Thus, all other apes involved in the experiment to be killed. This mirrors our real-world concern over the dispensability of animals to humans in research work. Is it ethically justifiable to eradicate an entire herd of research animals without investigation just because one of them has become potentially dangerous? Shouldn’t there be other ways to ease an aggressive animal that doesn’t involve a gun and bullets? The second ethical issue the movie raises is autonomy and informed consent in clinical trials. Rodman, in his desperation to save his father from Alzheimer’s, injected him with ALZ-112 while he was asleep. At this moment, his father had unknowingly entered into a one-man clinical trial for a drug that had not even gone through phase 1 safety testing. Tied closely to this is the issue of surrogacy for subjects with diminished or no autonomy. In this case, Rodman’s father had diminished autonomy because of his memory loss and vulnerable condition. Normally, a caretaker or family member is expected to make this decision for such a patient and thus, will be responsible for protecting the patient from exploitation. What happens when a research subject is related to the researcher? Who is then responsible for ensuring that there is no breach of autonomy? The third ethical issue the movie raises is conflict of interest (COI). While the movie highlights a pharmaceutical company’s primary concern for increased profit margins, questionable financial ties are not the only COIs that affect research validity. Ethical breaches like data manipulation may exist when a researcher is desperate to prove the validity of his work, especially if a loved one will benefit from its result. Certainly, Rise of the Planet of the Apes, does a good job of drawing awareness to modern bioethical questions. I recommend it to anyone interested in not only bioethical topics related to the pharmaceutical industry but also realistic science fiction.